Quality eDirectory custom development services are available from our official partner Arca Solutions Inc. 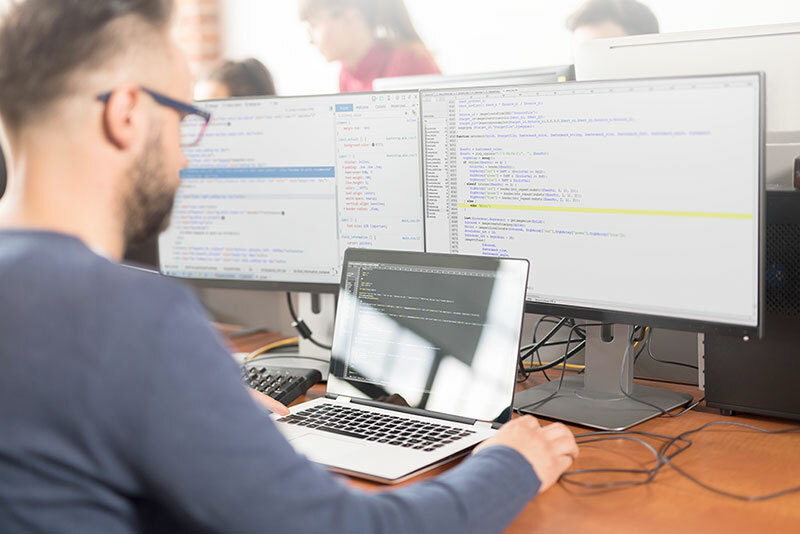 Whether you need small visual changes, or an integration with an external system or payment gateway, or even a major workflow overhaul, the custom development team is ready to serve. The team works exclusively on eDirectory projects and is staffed with people that have previous experience working on the product code. 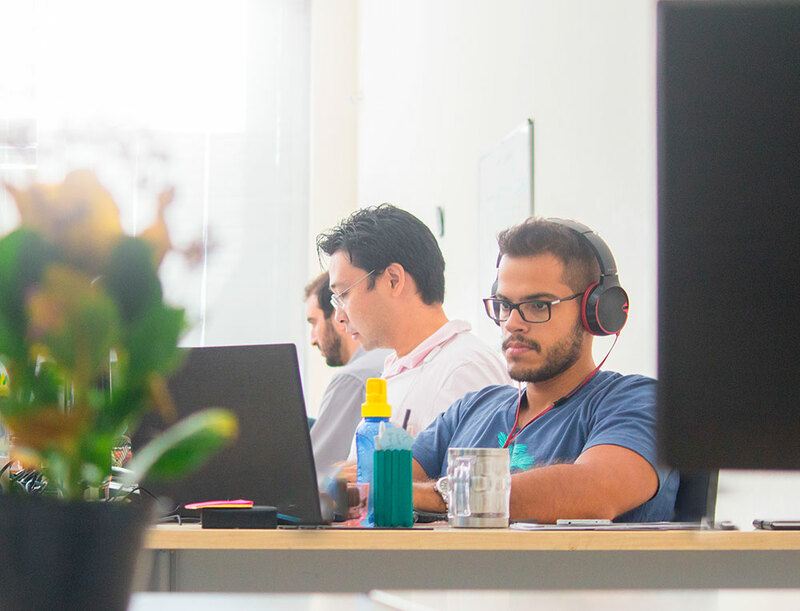 Arca Solutions' Custom Development team is based outside of São Paulo, Brazil, allowing affordable development with a significant time zone overlap as North America and Europe. After you discuss your project with an eDirectory Account Executive and send any specifications or mockups you might have, we will send you a written no-obligation quote for the design and development work, as well as a time estimate for start and completion based on the team's backlog. For larger projects, we may send an initial informal ballpark quote to give you an idea of what may be involved, and if it looks viable we can follow up with a detailed quote and specification. For smaller changes, we try to get the quotes back same day or next business day, whereas for larger quotes your Account Executive may inform you it will take more time to prepare depending on what is involved. It has been a pleasure working with the team at eDirectory while building our directory. They are fast and knowledgeable responders and easy to work with. If you decide to move forward with the project, we request an advance deposit. We have a $500 minimum order or half the project/milestone cost for larger projects. If your changes are smaller than the minimum, don't worry, the extra time will remain as a credit on your account for up to 2 years, and you can use it for additional development whenever you wish by reaching out directly to the development team. Additionally, on the first order, we require a signed Development Services Agreement, which you can read here. This agreement is a standard agreement that explains things like our quality guarantee and other terms. You can sign it online via the Docsign service. After the order is placed the team will be in touch within 1 business day to schedule a Kickoff Call with the Delivery Manager to review the scope and schedule of the project and clear up any questions before the work starts. Each day the team is working on the project you will receive a Daily Status Report, detailing the progress. Typically for larger projects, or at your request for smaller projects, we will setup a staging URL where you can review and approve the work before it goes live. When the work is complete and pushed live, the Delivery Manager will do a Walk Through call with you, typically with a screen-share, to show you the changes. We take quality control very seriously, however, if you happen to find bugs you can send them to the Delivery Manager in an itemized list and the development team will get them resolved right away. After your project is complete, if there is a milestone payment due, it is due within 2 business days. We have a 180 Day Guarantee so if something comes up in the future you can reach out to the Delivery Manager or your Account Executive and we'll get it resolved as soon as we can. During the project development cycle, if you have questions or comments, you can always schedule a time to discuss with your delivery manager using the Calendly link on his/her email signature. The scope is often the trickiest part to manage in a project as it is very easy to have a misunderstanding of what is included in the work to be done. We try our best to ensure the quotes include all the details of what is and is not included, but diligence on the customer's side in this respect is helpful for a smooth delivery. Visuals such as mockups or wireframes are very helpful in- you can send them to us when asking for a quote or request them as part of the quote process. Also if a change is made at the database level, such as adding a field somewhere, it's important to ensure it is specified which interfaces it will be displayed in the system and whether it's also to be included on the mobile apps. Please do review the quote and let your account executive know if anything is not crystal clear and may cause something to missed by the developer. The written proposal document specifies exactly what work will be done, and if something is not specifically in there, it will not be changed, regardless of what conversations were had during the quote process. Accurately estimating the time required for software development can be tough. We do our best to hit deadlines, and we have enough experience where we do pretty well most of the time. If you have an important date, such as an event or ad campaign, be sure to let your delivery manager know so we can be extra diligent. Also, it's a good idea to have a buffer between the delivery date and your business dates to ensure things run smoothly. If you feel the project might run into issues with scope definition, communication, quality or anything else, please escalate early by reaching out to your Account Manager. This will trigger a review from management and we'll quickly work to get the project on track. What can eDirectory do for me? The short answer.... pretty much anything. We’ve been building online directories over a decade. Our software is packed with features from top to bottom. If you need something, most likely we’ve already coded it and added it to the main release - have a look for yourself.